providing the expertise and value you expect. When your heavy-duty equipment breaks down, it can lead to disaster for your productivity and work deadlines. We understand. Lanz Mechanical will perform a quick but thorough diagnosis of your repair and provide a full estimation of your costs before proceeding with the repairs. Our skilled technicians can come to your work site or you can bring your equipment into our shop. 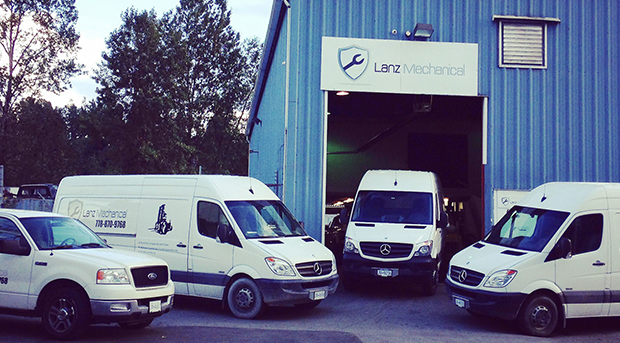 Don’t waste any time Call our technicians at Lanz Mechanical today. From one of the former manufacturers of TCM Forklifts, the VIMAR brand is awash with quality, durability and functionality. We guarantee to have the most competitive pricing in the market and we personally stand by this product. Please contact us for model information or to request a quote. Purchasing a forklift can be expensive. Lanz Mechanical offers short-term and long-term forklift rentals for your material handling jobs. We have forklifts of varying lifting heights and load capacities to suit your job’s requirements. We offer rentals on daily (minimum of three days), weekly, monthly, and yearly terms. Visit our rentals page for more information on forklift rentals. We also sell and buy used forklifts at competitive pricing. New and used forklifts for sale and lease.